From marshlands to forests, riverbanks to nature parks, Charente is home to many green spaces where you can escape for the weekend. Here are five ideas for spending a weekend in nature and relaxing in Charente and Charente-Maritime. 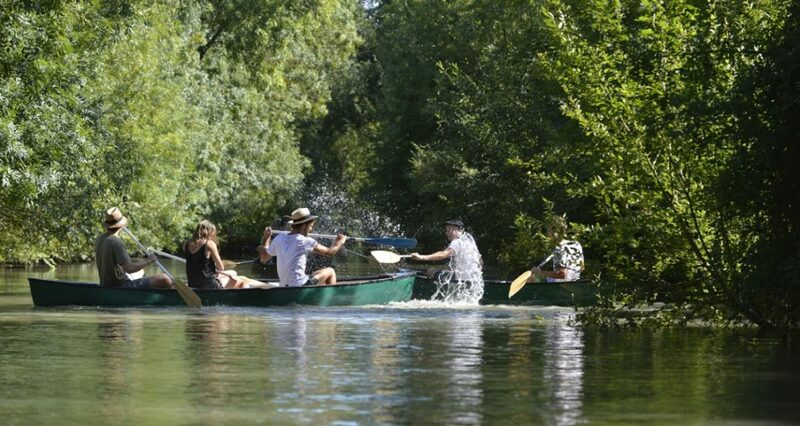 The Poitevin marshlands – a major nature destination and a regional nature park designated a “Grand Site de France” – is an ideal spot for an extended break surrounded by greenery in Charente-Maritime. Less than an hour from La Rochelle, there are more than 100,000 hectares to explore, ideally by bike or by boat to get the most out of this exceptional wild world. Rent a boat with a boatman, who will let you in on the secrets of the Poitevin marshlands while describing its flora and fauna. With boat trips, tours and bike rides along the canals, the weekend’s agenda will be full but revitalising. This weekend in the heart of nature will be loved by the whole family. The Gironde estuary is the biggest in Europe. It offers a wild natural setting with immediately recognisable scenery thanks to its traditional fishing huts. It’s in one of these unusual cabins built above the water that you can indulge in an unusual fishing session in the heart of the Vitrezay nature park. This traditional method of fishing lets you share an unforgettable moment with family or friends between the tides. This fishing technique is perfect for groups and lets you catch both freshwater fish, such as zander and carp, and those that live in the sea, such as eels, mullet, seabass and, of course, the famous biquottes (white prawns), which are present in huge numbers throughout the year in Europe’s biggest estuary. In addition to fishing, this exceptional natural space is an ideal starting point for beautiful bike rides, a cruise on the Gironde, and more – we guarantee a totally unusual trip! 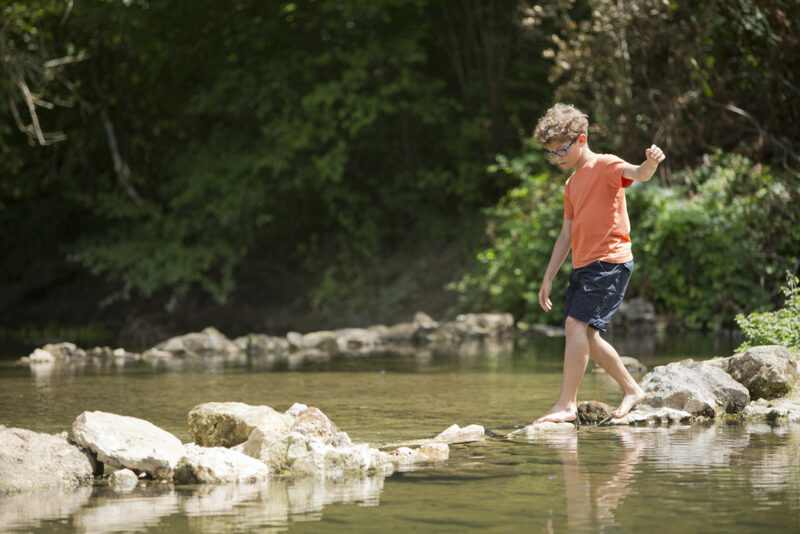 Upper Charente is the perfect place to organise a weekend in the country for a bit of hiking. Several hundreds of kilometres of hiking trails criss-cross the region, and many go around the lakes of Upper Charente. Among them you’ll find Lake Mas Chaban and Lake Lavaud, two immense man-made bodies of water. A range of facilities have been built at the start of these lakeside hikes to help you make the most of the setting. For example, leisure facilities have been developed at Guerlie beach on the shores of Lake Lavaud, including games and a water sports centre. A trip all the way around Lake Lavaud will involve half a day’s hiking through oak forests and past embankments and little villages. You can break up the walk with nature activities, such as bird spotting at the bird observatory – there are around 170 species around Charente’s lakes! Geocaching is a fun way of exploring Charente from a different perspective. It works like this: follow the route and solve the riddles to find the hiding place at the end of the game. With Terra Aventura, you just need to download the app and let it guide you (while engaging your brain a bit) to find the GPS coordinates of the hiding place. There are many in Charente, but we particularly recommend “Tant va la cache à l’eau”, which takes you around Moutonneau and Lichères. It’s a lovely half-day trail around the River Charente, which you cross several times to see all the best views. With its pretty nickname of “Pine Town”, Montendre is an excellent base for a weekend in the country. In the middle of the Double Saintonge forest, different paths have been marked out (ranging from short walks to two- to four- hour rambles) to guide you along some pretty hikes. Visit the Maison de la Forêt nature park to explore a space dedicated to trees and wood crafts. Here, the maritime pine has found a perfect home, explaining the area’s significant forestry and logging activity. Climb to the top of the watchtower and you’ll be rewarded by breath-taking 360° views of the Upper Saintonge countryside. This year, Montendre is buzzing for the opening of the Mysterra park. Imagine six mazes in the middle of the forest that combine natural vegetation with new technology to entertain people of all ages. Take on challenges, solve riddles and have fun getting lost in this digital plant labyrinth.